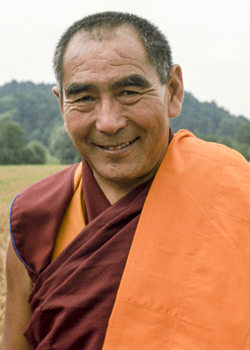 Geshe Lhundub Sopa Rinpoche (1923-2014), a great scholar from Sera Monastery renowned for his insight into the emptiness, was one of His Holiness the Dalai Lama's debate examiners in Tibet, in 1959, just before fleeing the Chinese occupation of Tibet for India. He went to the USA in 1962 and joined the faculty of the University of Wisconsin, Madison, in 1967, where he remained until his retirement. He was the spiritual head of Madison's Deer Park Buddhist Center, until he passed away on August 28th 2014. 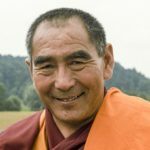 Read a more extensive biography of Geshe Sopa on the FPMT website. Geshe Sopa gave this teaching at Tushita Mahayana Meditation Centre on July 30, 1980.